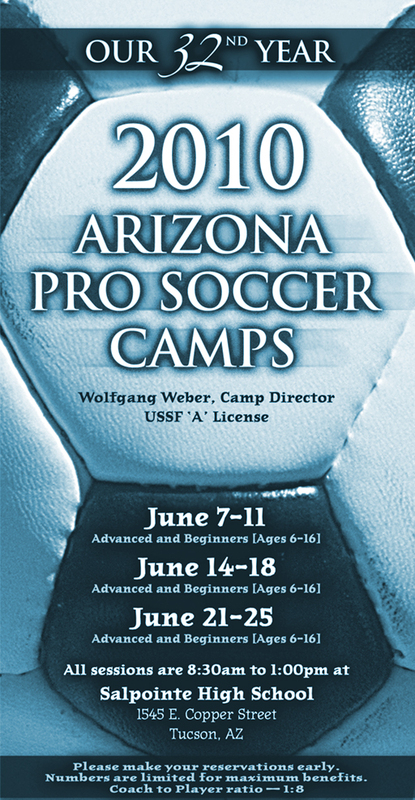 We would have to go back and check our files to see when we first created the registration brochures for the Arizona Pro Soccer Camp, but our guess is at least 15 years. Wolfganf Weber, varsity coach of Salpointe High School since 1983, continues to promote and share his love of soccer [while running up a record of 516 wins and 76 losses]. 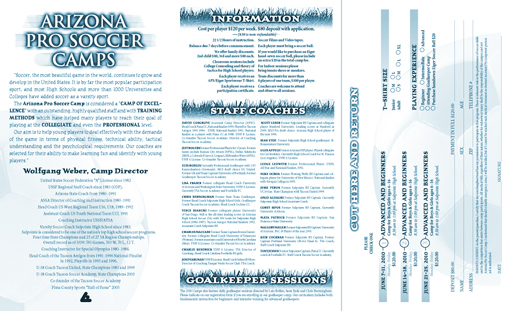 The soccer camp is staffed with great people and coaches. This is the 32nd edition of the camp, and we expect many more. Click here to view a larger version of the insides.